The Neutrik NAC3MPA-1 PowerCON Power-In Chassis Connector is a lockable 20A/250Vac coupler to replace standard appliance couplers. The NAC3MPA-1 provides an exceptionally rugged solution, with a user-friendly latch design and a quick and easy twist-lock system. 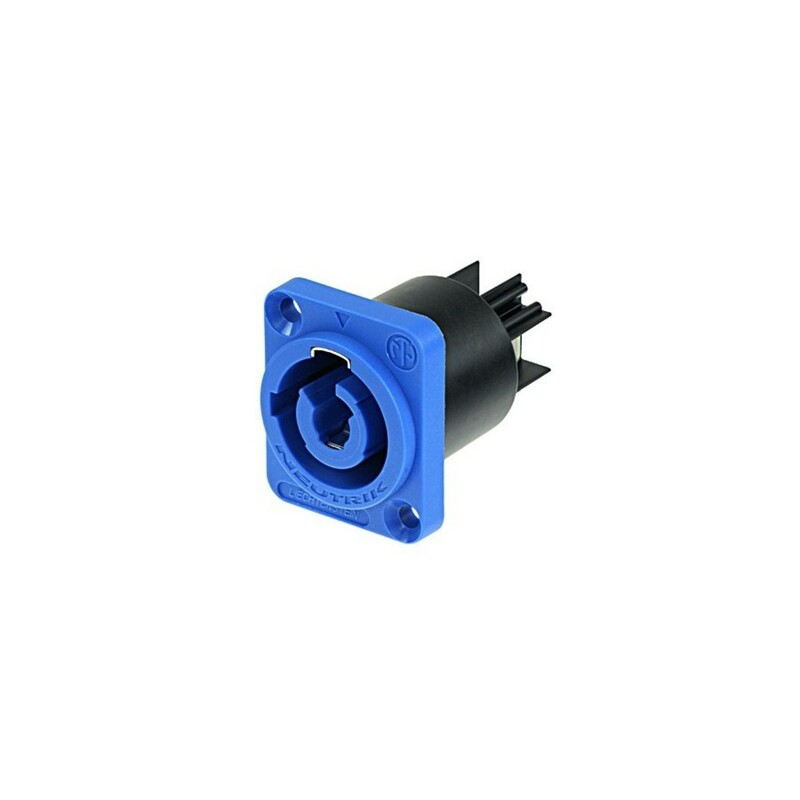 With blue colour coding signifying the unit to be a power-in connector, and unique keying to prevent intermating with power-out connectors, the NAC3MPA-1 is a highly durable and reliable component suitable for a wide range of applications.